I am been thinking about cool Halloween Decor as Halloween is fast approaching. I wanted to create something easy so that my 3 year old could help. I ran across a bat wall idea on Pinterest a few months back and thought why not! 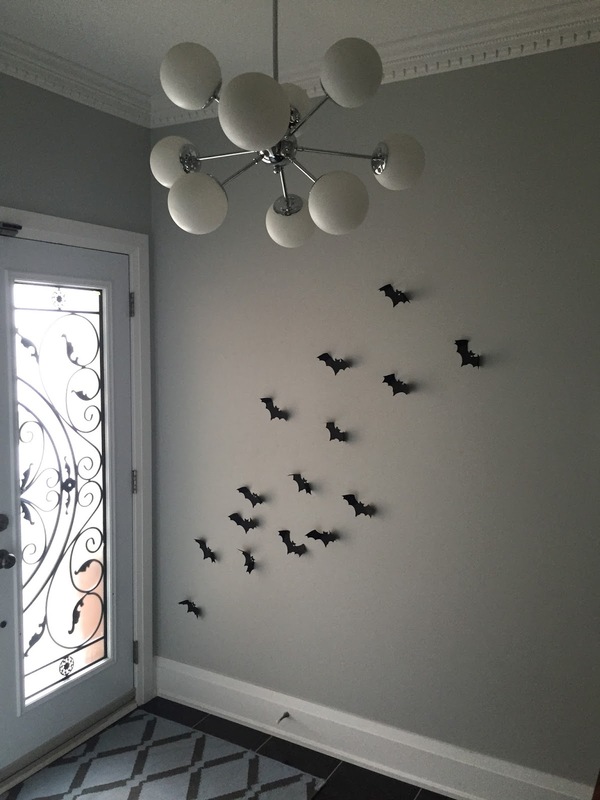 The photograph I saw was using vinyl decals in the shape of bats but I wasn't ready to put decals all over my walls. I decided to find a bat shaped template online and cut bats out of black construction paper. You can find a bat template online or use the one below! Print the bat out and use it as a template. 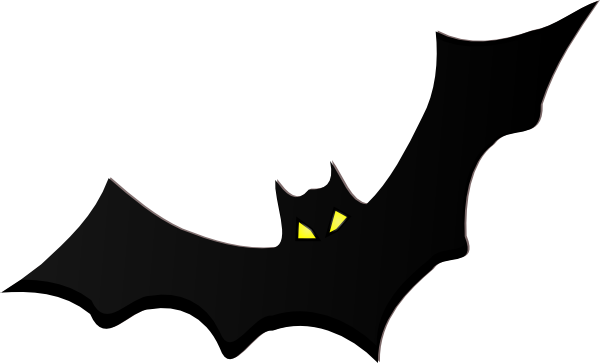 Trace the bat and cut out as many bats as you need from black construction paper. Once cut out, you can fold some of the wings inwards to make the bats more dimensional. Take double-sided tape and stick them to the wall. Now I cheated just a bit! I didn't follow my own directions because while out at the a local dollar store I found bats already cut out! But if I didn't find them I would have totally made them myself! My daughter had a blast sticking them on the wall with me and folding the wings over. Such a simple and great way to temporality decorate walls in your home! 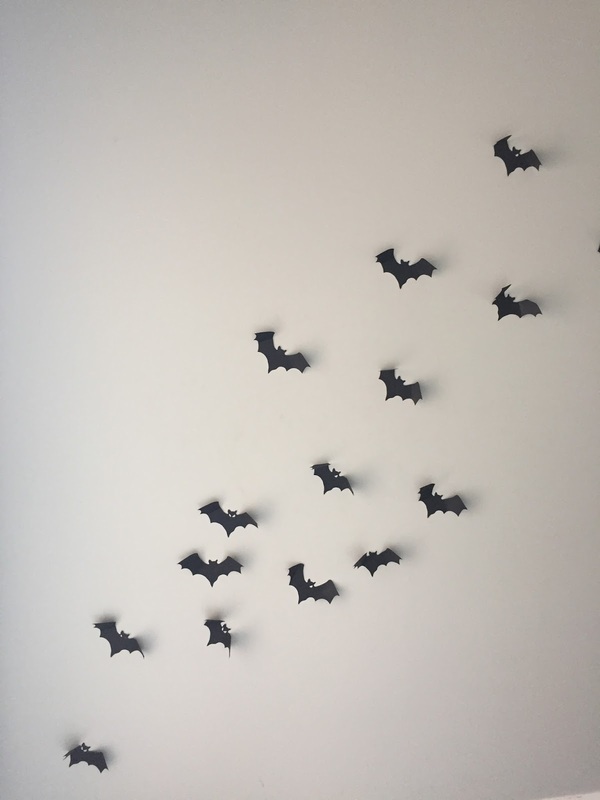 Take a look below for photos of my foyer wall with the bats! 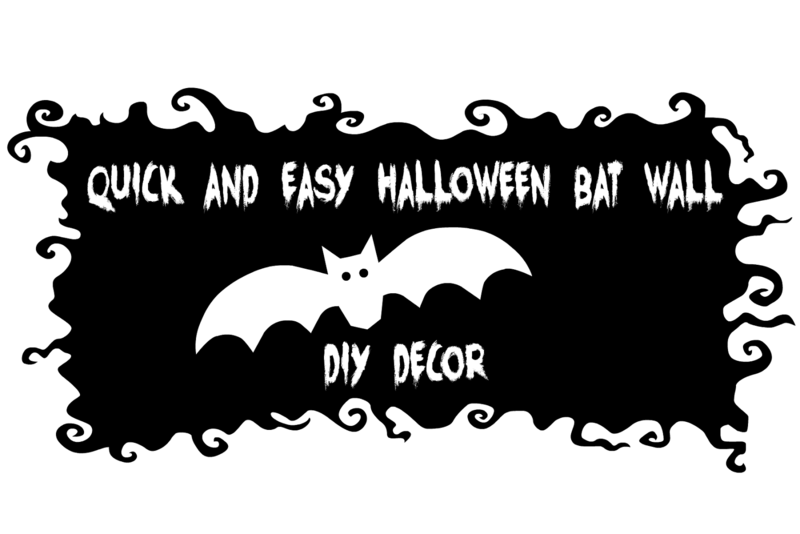 this is an outstanding Halloween bat wall DIY decor. the way you hang them on the wall is also perfect. I will try to make my own this Halloween. Cheers! 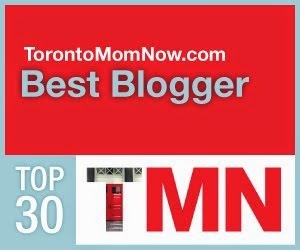 Their reassurance that Indigo Building Company could handle the entire claim process through start to finish in addition to bill my personal insurance direct therefore t wasn't up front truly calmed me lower during this disorderly time. What Can The Top Troutdale Drywall Contractor Do For You? 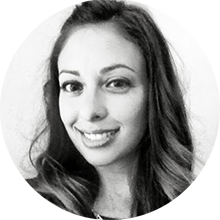 - Their team showed up inside the hour because Indigo Building group had explained. The idea of decorating a house always tends to make everyone joyful, allowing them to participate in the decorations with zeal. An abundance of imagination and creativity are the main ingredients for decoration.